WELCOME TO THE BLSA CONNECT ENTERPRISE DEVELOPMENT ZONE , WHERE PREPARATION MEETS OPPORTUNITY…. 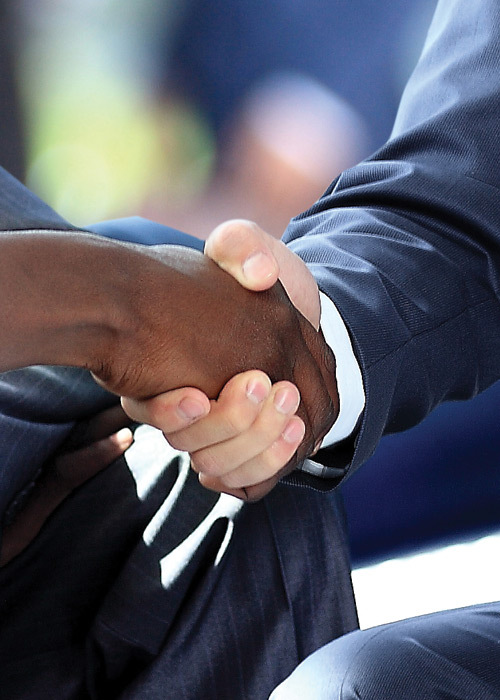 As BLSA Connect we believe that a robust, inclusive and innovative economy is dependent on a growing SMME sector. Any business operating in South Africa is faced with the task of addressing Broad Based Black Economic Empowerment (BBBEE ) as set out in the codes of Good Practice .This means that your organisation will be verified on an Annual basis against which you will receive a score. A good score opens the door to commercial opportunities and ultimately positions your organisation as a complaint entity that is committed to nation building. BLSA Connect specialises in developing and implementing solutions that will earn you Enterprise and Supplier development points as well and point for Preferential procurement. As a priory element within the Codes of Good Practice a successfully designed , implemented and measured Enterprise and Supplier Development solution is vital to maintain your commercial performance and opportunities. We design, build and implement Enterprise and Supplier Development ( ESD) solutions that empower SMMEs to start and grow scalable businesses that can be turned into an Asset of value. Our Enterprise and Supplier Development solution is successful in sourcing , selecting , growing and funding SMMEs as to ensure that we increase the SMME success ratio with the view of creating a more sustainable SMME sector. Let us work with your Transformation , Procurement and Finance teams to turn your compliance budget into a competitive advantage. Through our interventions we create capable ,reliable and procurement ready SMMEs that can deliver good quality products and services on time , every time. Having served big business by building SME portfolios to meet compliance, business and strategic requirements since 2004, our service capabilities are deep, robust and impactful. We work with you to source and select SMEs to fulfil your strategy and meet your supply chain needs. We use extensive tool sets, channels and relationships to support our search to ensure we bring the best SMEs to your door. Our widely recognised history of starting, building and growing businesses led to our ability to work with and support SMEs. Our business development and growth programmes support Start-Up, Early Stage, Growth Stage, Innovation and Transformation requirements, to build businesses that are reliable, competitive and scalable supporting increased procurement spend and ensure sustainable service delivery. a S12J, Financial Services Board registered, SARS approved equity funding platform. We design programmes to implement your strategy, work with cross-functional teams and monitor progress towards stated objectives. Our reporting, both at an individual SME level and an SME portfolio level, addresses the needs of multiple stakeholders including trustees, directors, boards, corporate sub-committees, legislative stakeholders, etc.